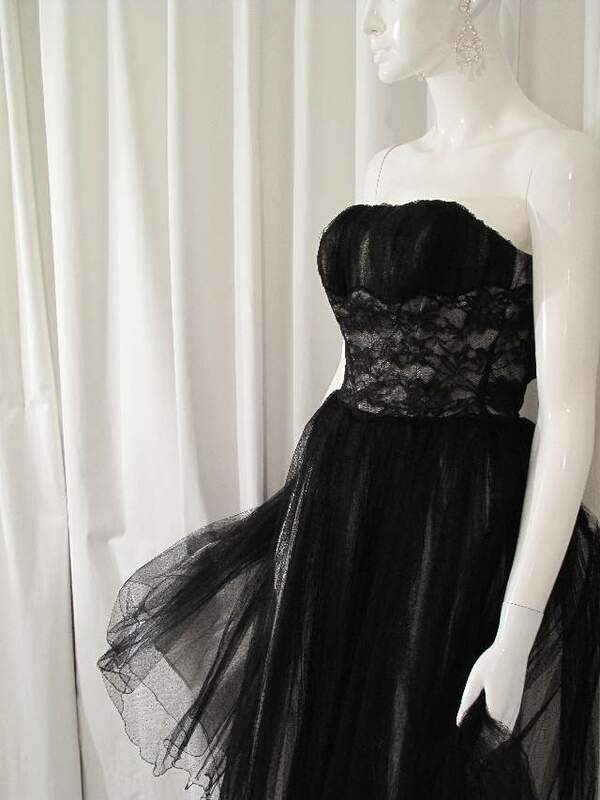 Strapless boned gown with fine 'pin-dot' ruched tulle at bust. 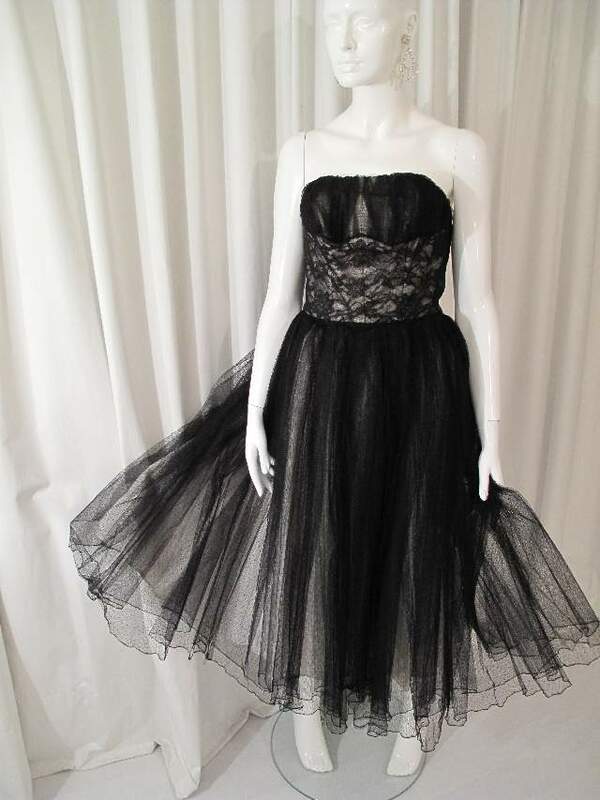 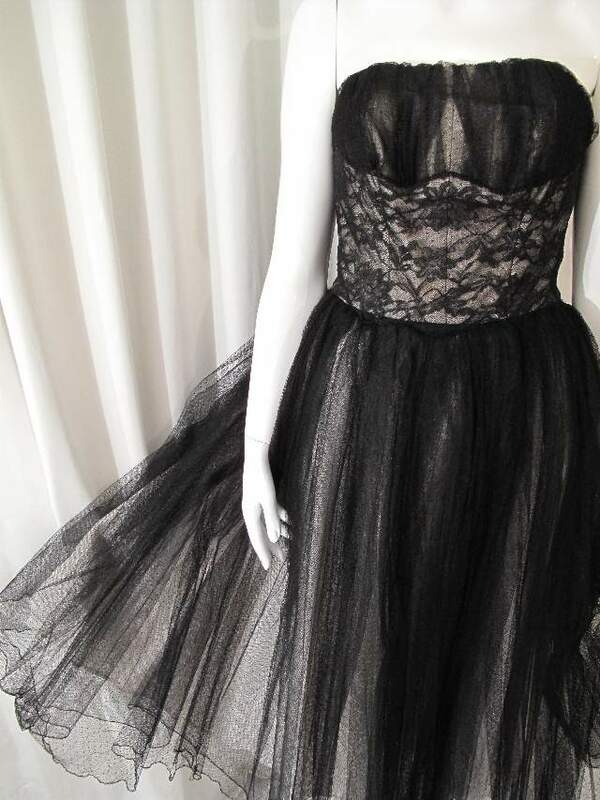 Black lace bodice and 'pin-dot' tulle gathered skirt. 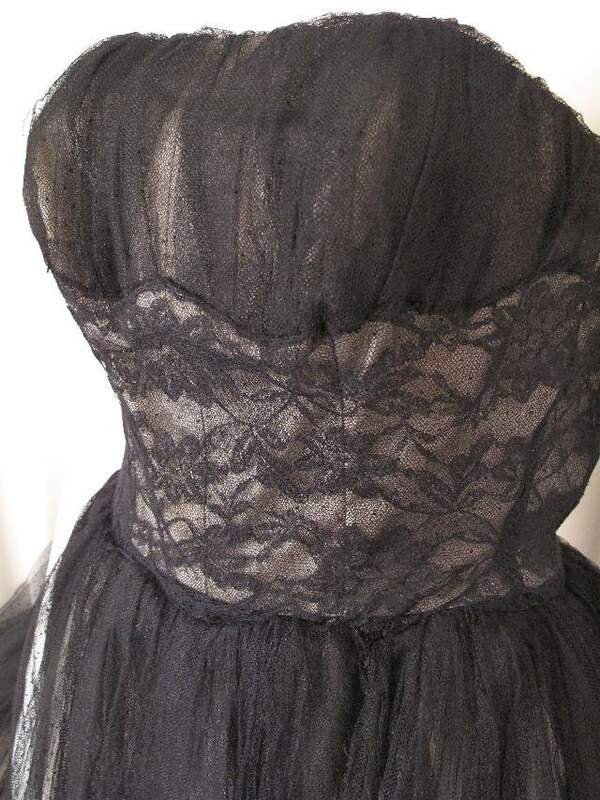 The underneath lining is ivory taffetta which shows through the lace and tulle to highlight the ruching and fabric. 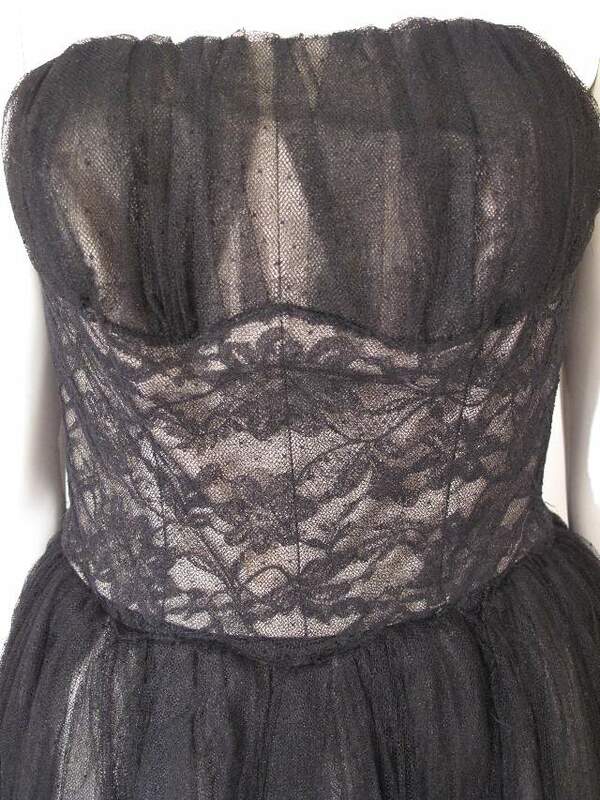 A beautiful vintage dress with lovely structured bodice.